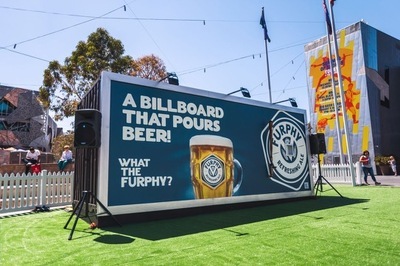 Furphy has unveiled its first major campaign centred around telling furphies - a word that has become part of the Australian vernacular. It started with WW1 troops telling tall tales around the Furphy water cart, which led to white lies being affectionately known as furphies. 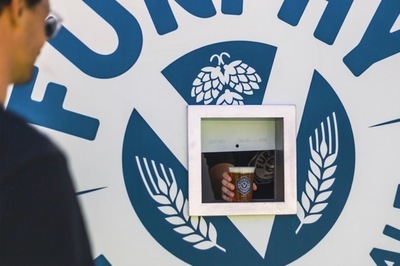 Fast forward to 2019 and Furphy Refreshing Ale will begin telling its own stories - stories with a truth and are embellished and are embellished by walking a thin line between the believable and unbelievable. 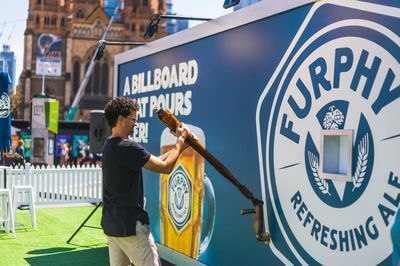 To promote the campaign, by VMLY&R and UM, the boutique beer brand has posted a billboard in Melbourne's Federation Square that will pour beers via a novelty size tap handle for thirsty patrons. The pop-up activation kicks off from the 29th January to the 3rd of February with influencers also attending the event, including Western Bulldogs and Brownlow medallist Adam Cooney.